These white LED bulbs can automatically adjust their color temperature based on the time. In the world of smart lighting, a common definition has developed that essentially says that if a light bulb can be controlled via a mobile app, it’s smart. But isn’t that a little backwards? Shouldn’t truly “smart” lights control themselves, without you having to dig your phone out of your pocket? 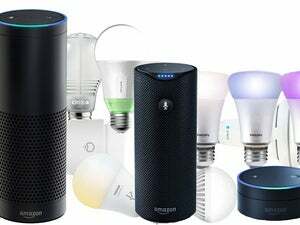 That’s the value proposition of Stack Lighting, a lighting solution that ups the ante on what we’ve come to expect from so-called smart bulbs. Stack bulbs—available in classic A19 ($28 each) or canister BR30 ($45 each) form factors—are white-only, tunable bulbs that adjust themselves automatically over the course of the day. By taking your location into account and using sensors to measure the natural light in the room, Stack bulbs not only tweak their color temperature and brightness, they adapt to your own preferences over time. 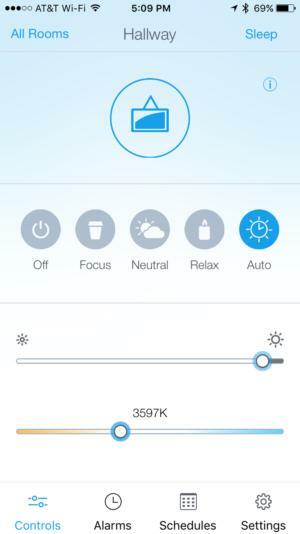 The Stack app gives you complete control over the bulbs, but you might discover you don't really need it. Setup is similar to that of the Philips Hue. A small control puck must first be connected to your router via Ethernet. 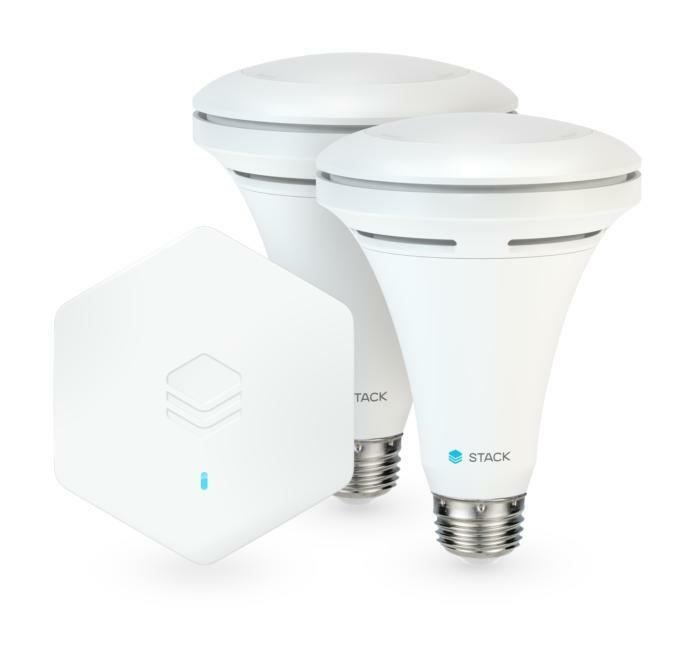 You then download the Stack Lighting app to connect hubs and bulbs to your home network (note: there are a ton of “Stack” apps, so be sure to search for “Stack Lighting”). While I had some hiccups getting the app to locate the two test bulbs I received, I was successfully up and running in about 10 minutes. After you assign bulbs to a room and tap the “Auto” option, you can completely forget about the app if you’d like. Stack bulbs will start the day with an “energizing” cool light hue, then slowly progress toward warmer temperatures as evening approaches. If you turn on the Occupancy Timeout setting, the bulbs will shut off when they don’t detect motion. Night owls can turn on Sleep Mode to have the bulbs double as a very dim (but settable) nightlight after hours, then turn themselves back on at a preset time the next day. Of course, if you want to manually control each room’s temperature and brightness, that’s an option as well, though bulbs assigned to the same room must all be controlled together, not individually. If this sounds a lot like the Circadian mode built into TP-Link bulbs, it should. The two have a lot in common, but Stack’s system works better, with more natural lighting shades and a generally warmer bent than TP-Link’s too-cold configuration. And while I didn’t really feel the need to tinker with Stack’s default settings much, if you do, it will remember them the following day. Stack includes the usual extras, including an alarm system (if you want to use the lights to wake you up in the morning) and a robust scheduling system for vacations or other automated uses. At 750 lumens, the lights could stand to be a little brighter, but for most uses (particularly in canisters) they should acquit themselves well, to the point where you may eventually take their innate intelligence for granted. Stack Lighting is a truly smart lighting solution that optimizes itself for the time of day while also learning from your personal preferences.